One of the most common mistakes we see with websites is when businesses use their sites as information dumps. Why is this a big deal? After all, shouldn’t you provide lots of information so visitors can decide whether or not to do business with you? The short answer is no. The long answer is, well, also no. Buyers do want to educate themselves about your company before directly contacting you. That doesn’t mean they will spend lots of time searching all your pages hunting for the information they need. According to a study at the Missouri University of Science and Technology, users spend an average of 5.59 seconds looking at a website’s written content. That hardly seems like enough time to consume your content. Visitors will move on from your site and possibly to your competitor’s website if they can’t locate the information they need quickly. Below are 5 ways to make sure your website is providing the right information—and experience—for visitors and potential buyers. Instantly communicating the uniqueness of your business when visitors arrive on your site seems obvious, right? It’s amazing how many websites make it difficult for visitors to find this information. According to a web usability study, 86% of visitors who land on a company’s website homepage say they want to see information about the company’s products and services. 86% of visitors who land on a company’s website homepage say they want to see information about the company’s products and services. This doesn’t mean your website has to immediately list out all details of your products, services or features, but it does mean your visitors want to generally understand what your business does. In other words, they need to know if your business can serve their needs—and they want to know within a few seconds of landing on your website. The ideal location for this information is “above the fold” on your homepage. What is “above the fold”? It is content positioned in the upper part of a web page and is visible without scrolling down the page. That’s where visitors need to see and understand your business value. Visitors want to understand your business right when they land on your homepage, but they are also willing to scroll down to learn more. Placing appropriate, clear call-to-action buttons throughout your site will guide your visitors along a learning path (sometimes called a buying journey). What is a call-to-action? It’s something designed to get a website visitor to take action. According to a study, 70% of small business websites lack a call-to-action (CTA) on their homepage. With no call-to-actions to select, you’re encouraging your visitors to leave your website. 70% of small business websites lack a Call to Action (CTA) on their homepage. While providing zero call-to-actions might foster more website bounces, adding too many CTA buttons on a single page might overwhelm visitors with choices. Instead, build your web pages with the visitor’s buying journey in mind by providing the right information at the right time. For example, a prospective buyer wouldn’t provide you details of their upcoming project without first understanding if your company and services fit their needs. It doesn’t make sense then to display a “request a consultation” call-to-action right when they land on your page. Give them an opportunity to learn about your business first. Another common mistake is displaying too many menu items in your main navigation. If you have more than five or six main menu items then visitors may skip important pages. Implementing a “less is more” strategy here is key because visitors may get lost in options. Additionally, use topic-based labels like “our portfolio” rather than format-based labels like “videos” or “photos”. Labels indicating the format aren’t descriptive and therefore, not very helpful to visitors. Your visitors must first educate themselves about your business, value, and credibility. They learn these things by consuming digestible chunks of information along the way. 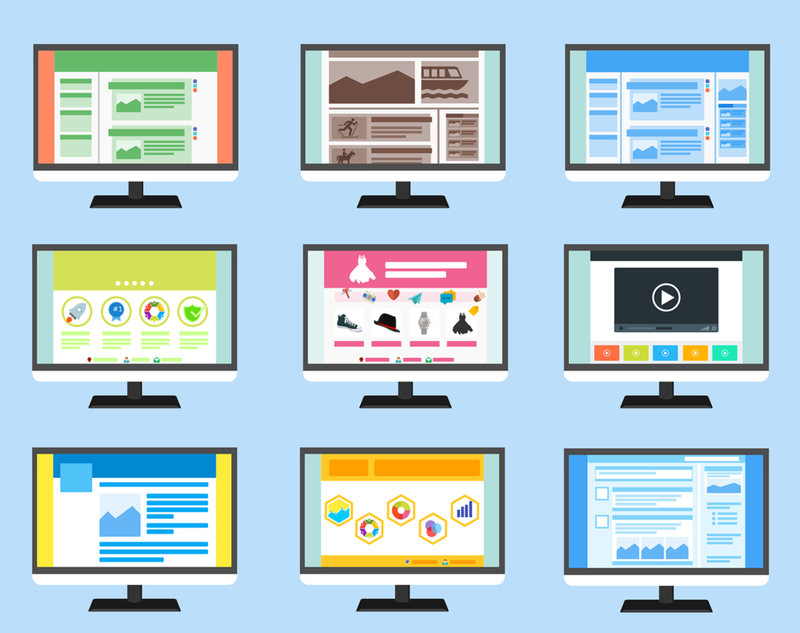 Having a website for your business isn’t enough anymore—it must also look good. The visual design of your website communicates your professionalism and trustworthiness. 75% of consumers admit to making judgments on a company’s credibility based on the company’s website design. 75% of consumers admit to making judgments on a company’s credibility based on the company’s website design. So what is the definition of looking good? Isn’t that in the eye of the beholder? While that is a fair point, it’s also important to understand the impressions and preferences of visitors. Users form an opinion about your website within 50 milliseconds that determines whether they like your site or not, whether they’ll stay or leave. 94% of negative website feedback was design related. Still not convinced? Here’s an eye-opening infographic showcasing recent website and user experience statistics. Your website should be visually-pleasing, incorporating high-quality images and easy-to-consume content. Varying the size and boldness of your text grabs the attention of visitors. Information is consumed faster when using visuals such as images, icons, and bullet lists. Your site’s color scheme is important as well. Make sure you don’t overwhelm visitors with too many colors. Start with four or five colors and adjust as you build out your site. Another good practice regarding colors is using contrasting or accent colors for your call-to-action buttons. This will help grab the attention of the viewer. Lastly, the use of white-space to separate smaller chunks of text encourages faster content absorption than having to tackle one long block of text. Your website demonstrates the credibility of your business, but it also communicates your value. Your site design will determine how much and how fast your content is consumed, and whether or not the visitor moves onto another website. Visitors will abandon your website if it loads slowly. 47% of users expect a maximum of 2 seconds loading time for an average website, according to this company’s study. This expectation is twice as fast as it was in 2006. 47% of Users expect a maximum of 2 seconds loading time for an average website. Site speed can be an issue if your website has lots of images, scripts, plugins, add-ons, and multimedia. Fortunately, there are steps you can take to speed up your site, like reducing the size of your images, moving to a web host with better performance, reducing the number of redirects, and using servers closer in proximity to your business. There are free site speed tests available online, including one from Google. There may be numerous causes of site slowness, so whether you tackle this issue by yourself or with the help of a professional, it’s worth the investment. 69% of consumers worldwide between the ages of 18 and 39 use mobile devices to research products before they buy. By the year 2020, there will be a staggering 6.1 billion Smartphone users. Website expectations have changed since the rise of mobile device usage. 85% of adults think that a company’s website when viewed on a mobile device should be as good or better than its desktop website. Additionally, when it comes to Google search results, websites that are mobile friendly may soon start outperforming those with only desktop content. Google has begun mobile-first indexing, which prioritizes mobile sites by boosting the rank of mobile-friendly web pages. In addition to these aforementioned design-related steps, you should implement search engine optimization (SEO) best practices as well, but we’ll save that for another article. Make sure your site is mobile-responsive. There are many ways to improve and optimize your website, but starting with these 5 steps will provide a solid foundation for successful website visitor experiences. Upward Digital Marketing Group provides online marketing services for small and medium sized businesses through website design & development, social media management, email marketing, video & content creation, online ad management, local search optimization services and digital marketing strategy. Contact us today. Receive free tips about website optimization, social media, email marketing, online advertising, content & video creation, digital strategy and more!